The Middle Kingdom started about 2060 B.C. with the end of the Xlth dynasty. The Pharaoh Montu-Hotep I re-established control over Lower Egypt with the aid of the Egyptian “middle class”. During the reigns of his successors, Montu-Hotep II and Montu-Hotep III, commerce was intesified, a trade route to the Red Sea was opened and an expansionist policy aimed at Nubia was put into operation. The Xllth dynasty had its beginnings about the year 2000 B.C. and it proved to be one of the most renowned and also one of the greatest in the whole of Egyptian history. 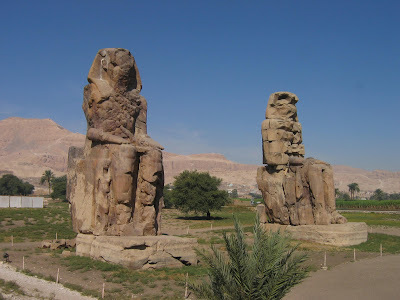 Its first pharaoh was Amon-Emhat I who established the cult of Amon who consequently became the principal deity. This pharaoh was an able administrator and under his rule Egypt enjoyed another period of great prosperity. He extended Egypt’s frontier into the heart of Nubia going as far as Korosko and he also fought the Libyans. He was succeeded by his son Sesostris I who seized the gold mines of Wadi Allaki. To ensure the continuity of the dynasty he associated his eldest son with the throne and all his successors followed his example. We have very few documents relating to the reigns of his successors Amon-Emhat II and Sesotris II but we do know established with Phenicia. 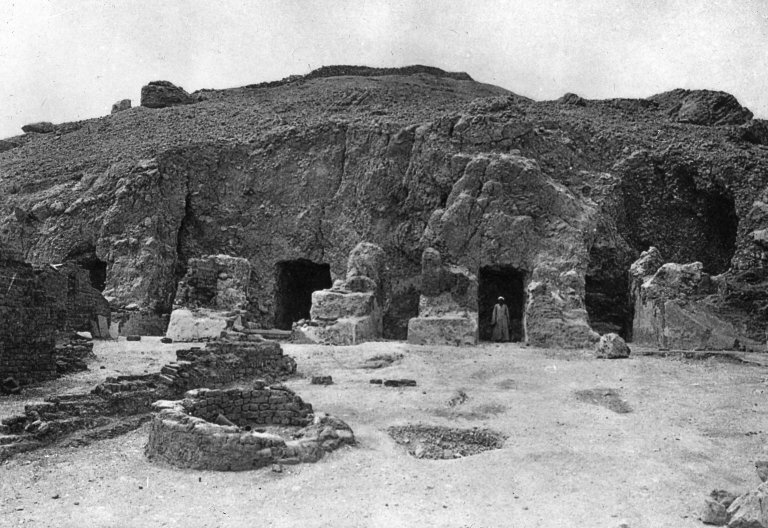 The region around Feyyrum was reclaimed and Amon-Emhat III built a grandiose residence there which was so complex that the Greeks referred to it as the « Labyrinth ». His successor, Sesotris III, was one of Egypt’s most important sovereigns. Following four military campaigns he colonised Nubia, he went as far as Palestine and he built a large number of forts along the frontier with the Sudan. During this period there was also a considerable flowering of cultural activity demonstrated by such famous works as the « Book of Two Lives » and the « Teachings of Amon-Emhat ». With the Xllth dynasty the Middle Kingdom came to an end. It was succeeded by the so-called Second Interim Period which even today remains obscure and full of uncertainties. It was dominated by the invasion of a Semitic people coming from east of the Delta. The priest Manetonius of Sebennite who wrote a history of Egypt in Greek entitled « Memorable Facts about Egypt » called them Hyksos, a deformation of the Egyptian word « Hekakhasut » meaning « head of foreign countries ». They invaded the fertile plains of the Delta, fortified the city of Avaris and made it their capital. The victory of the Hiksos over the Egyptians must have been quite easy because not only did they find a weak government but they were also militarily superior to the Egyptians. 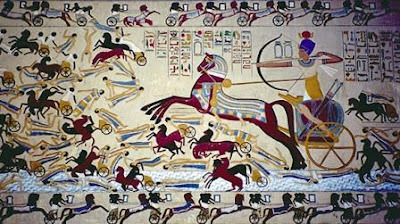 They were responsible for the introduction of iron weapons, horses and war chariots all of which were previously unknown to the Egyptians, the Hyksos princes united around them other dynasties of Upper Egypt and defeated the invading army. This reconquest was brought to a successful conclusion around 1622 B.C. by Ahmose, also the founder of the XVIIIth dynasty, who chased the enemy as far as southern Palestine and reunited Egypt under his rule. The colossus of Akhen Aton (Cairo, Egyptian Museum).